Note: Student programs in the Politics, Policy, and the Arts series will be held at the TV Studio – Hunter North 436 (entrance on 68th Street). From biblical times through Goya, Guernica and Abu Ghraib, artists have been moved to bear witness to the savagery of war. But what does witness mean? What if their art is turned into chauvinistic propaganda? What responsibility does the artist bear to depict the violence without exaggeration? 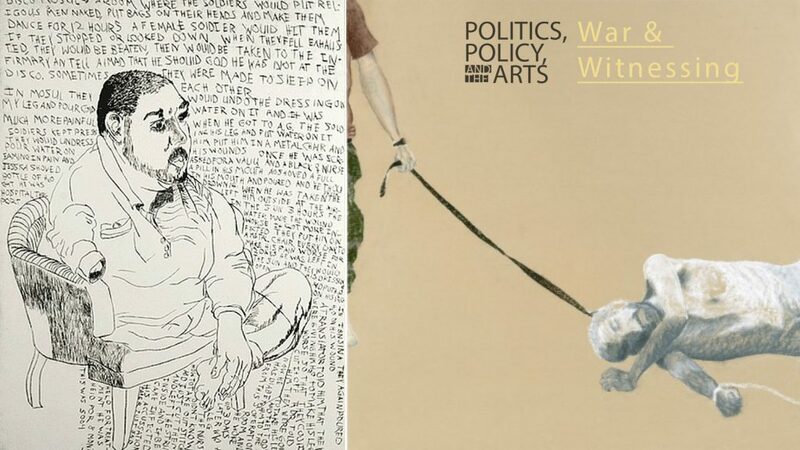 As part of the Arts Across the Curriculum program Politics, Policy and the Arts, students are invited to discuss these and related questions with a distinguished panel comprised of the artists Susan Crile and Daniel Heyman and the poet Tom Sleigh. The discussion will be moderated by Jack Rosenthal. 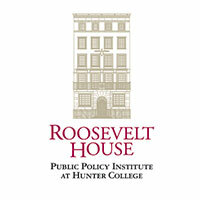 Each semester, the Roosevelt House Public Policy Institute at Hunter College spotlights a prominent public issue with events running through the term. This fall, the spotlight falls on Politics, Policy and the Arts, with a series of special events co-sponsored by Hunter’s Arts Across the Curriculum program. It will bring together artists, scholars and performers from across the spectrum of disciplines as well as policymakers and public officials. The events will include lectures, performances, faculty and student seminars, and a student art competition. Susan Crile’s paintings move between the poles of beauty and horror. Her work is in the collections of many museums including the Metropolitan Museum of Art, New York NY, The Hirshhorn Musem & Sculpture Garden, Washington D.C., The Soloman R. Guggenheim Museum, New York, NY and the Cleveland Museum of Art, Cleveland, OH. She has exhibited at numerous museums in the US and Europe which include Il Museo di Roma in Trastevere, Il Museo di Palazzo Mocinego in Venice, the Phillips Collection in Washington DC, the Berta & Karl Leubsdorf Gallery at Hunter College and the St Louis Museum of Art. She has had over 50 one person exhibitions. Crile has received two National Endowment for the Arts awards, and a Residency grant to The Bellagio Study and Conference Center, at The Rockefeller Foundation in Bellagio, Italy and a Residency at The American Academy in Rome. She has lectured in the United States and Europe, and has taught at Princeton University, Sarah Lawrence College and Barnard College, among others. She is a professor at Hunter College, CUNY where she has been on the faculty since 1982. Currently, Crile is finishing the second part of a trilogy, IN OUR NAME, of life-size paintings on paper of Guantanamo prisoners and is about to begin the 3rd part of the trilogy on the United States prison system (the first concerned the abuse and torture of the Abu Ghraib prisoners). Concurrently, she is working on an ongoing series of paintings of Italian Ethiopian, Moroccan, and Indian walls. Daniel Heyman, printmaker and painter, is a recipient of Guggenheim and Pew Fellowships, as well as multiple research grants from Princeton University and RISD. Residencies include Dartmouth College; Herzliya, Israel; MacDowell; Yaddo; Millay; and the Nagasawa Art Park. His work is in over 30 public collections including the Getty Research Institute; Hood Museum of Art; Library of Congress; New York Public Library; Philadelphia Museum of Art. A show of portraits of Iraqi torture victims from Abu Ghraib Prison was exhibited in 9 states; his work has been exhibited in major museums around the US. He teaches at RISD, Princeton University and the Pennsylvania Academy of Art. After spending over two decades in Philadelphia, he recently moved to rural Rhode Island. 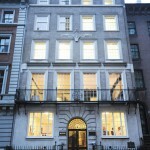 Heyman holds degrees from Dartmouth College, the University of Pennsylvania and is represented by Cade Tompkins Projects in Providence, RI. Tom Sleigh’s many books include Station Zed, Army Cats, winner of the John Updike Award from the American Academy of Arts and Letters, and Space Walk, winner of the Kingsley Tufts Award. Far Side of the Earth won an Academy Award from the American Academy of Arts and Letters, The Dreamhouse was a finalist for the LA Times Book Award, and The Chain was a finalist for the Lenore Marshall Prize. His work appears in The New Yorker, Poetry, The Best of the Best American Poetry, The Best American Travel Writing, and The Pushcart Anthology. He has received the Shelley Prize from the PSA, and awards from the American Academy in Berlin, Civitella Ranieri, the Lila Wallace Fund, the Guggenheim, two NEAs, among many others. He is a Distinguished Professor in the MFA Program at Hunter College and works as a journalist in Syria, Lebanon, Somalia, Kenya, Iraq, and Libya. Jack Rosenthal has had three related careers, in journalism, government and philanthropy. He is an immigrant who came here from Tel Aviv as a child. He began in journalism as a copy boy at The Oregonian in Portland. In 1956, he graduated from Harvard, where he was an executive of The Harvard Crimson. He served in the U.S. Army and returned to The Oregonian as legal affairs reporter. In 1961, he went to Washington and served as special assistant to Attorneys General Robert F. Kennedy and Nicholas deB. Katzenbach. In 1966, the Washington press corps voted him the outstanding information officer in the U.S. Government. He then served in a senior position in the Department of State, one that took him to Vietnam, Nigeria and elsewhere. In 1968, after returning to Harvard as a fellow at the Institute of Politics, he also served as the principal editor of the Kerner Commission report on urban riots. Later that year, he returned to journalism, first at Life Magazine and then at The New York Times as its first national urban affairs correspondent. In 1972, he received the Gerald Loeb Award for his reporting about the Outer Cities then developing in metropolitan areas. He joined The Times editorial board in 1977, first as deputy editor and then as editor. In 1982, he won the Pulitzer Prize for distinguished editorial writing, the first such award for The Times in 64 years. From 1993 to 2000, he edited The Times Magazine. For 27 years, he wrote the On Language column each summer and occasionally served as The Times’s Public Editor. In 2000, as new president of The Times Company Foundation, he launched Times Institutes for Journalists. So far, these immersion seminars, recently supported by Atlantic Philanthropies, have served more than 900 journalists from around the country. On September 11, 2001 the Foundation launched the 9/11 Neediest Fund which quickly raised $62 million, served some 30,000 families and created programs some of whose benefits endure. In 2010, he accepted a senior fellowship at The Atlantic Philanthropies, managing its media portfolio and continuing journalism institutes on aging, education and immigration. In 2014, he was appointed interim director of Roosevelt House, the public policy institute of Hunter College. 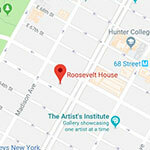 Mr. Rosenthal is the founding chairman of ReServe, the nonprofit that connects skilled older adults with work at public and nonprofit service agencies in New York and, so far, in five other cities. He also serves on the advisory committee of the Thomas Jefferson Papers at Princeton and the boards of the Four Freedoms Park Conservancy, StoryCorps and the Lark Quartet. He and his wife, Holly Russell, a metal sculptor, live in Manhattan. They each have two children from prior marriages and share six grandchildren.